Napping! Or curling up with a book. Neither of which I usually get to do on a rainy day because 1) we rarely get rain ha! and 2) I have two little ones to keep entertained! Obsession? Hmm.. I guess the bare minerals power I rarely leave the house with at least the powder on but I don't often do much more than that and mascara. Hmmm... do we have unlimited funds for this? Ha! I like the Loft a whole lot but then I'd have nothing to wear to the gym. A swimsuit, towel & sunscreen to spend lots of time swimming! I try, doesn't happen every week but it helps and makes grocery shopping easier. 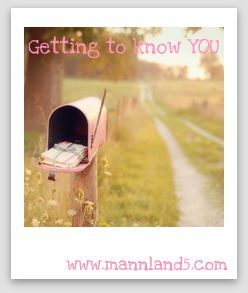 Link up over at MannLand5 if you want to play along! And I love Loft too!